The bean liquid that we used to throw away turns out to be one of the most astonishing culinary discoveries of the decade. With its amazing egg-replacement abilities, miraculous “aquafaba” can be used as an egg-replacer to make everything from French toast to lemon meringue pie. This groundbreaking cookbook is the first to explore the many uses for aquafaba in cooking and baking. Aquafaba can be used as a binder in both sweet and savory recipes and is a boon to vegans, people with egg allergies, as well as anyone interested in innovative cooking with a magical new ingredient. Aquafaba can even be used to make dairy-free cheese, ice cream, butter, and so much more. The book also includes a chapter filled with recipes that use the chickpeas and beans that remain after using their liquid to make aquafaba. 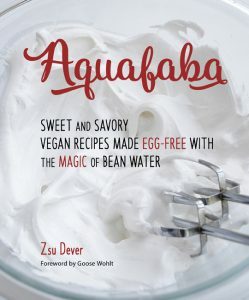 The latest title by San Diego-based author Zsu Dever (author of Vegan Bowls and Everyday Vegan Eats), Aquafaba features Zsu’s signature photography, her easy-to-follow instructions, and metric conversion charts. Zsu Dever hails from a long line of culinary professionals and restaurateurs. 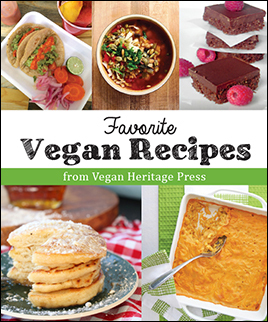 The author of Vegan Bowls and Everyday Vegan Eats, she is the publisher of Zsu’s Vegan Pantry blog. She is a food writer and photographer who has taught cooking workshops. 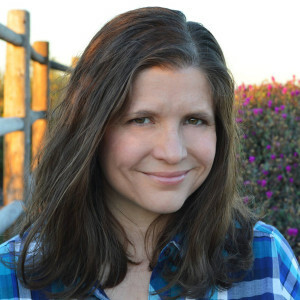 A homeschooling mother of three teenagers, Zsu resides in San Diego, CA.